It’s been two weeks since New Zealand Fashion Week (NZFW) 2018 drew to a close, and I’m still buzzing. I attended 23 fashion shows, spoke on a panel, listened to a panel, took the bus 9 times, Ubered three, and forgot to eat a full meal until Sunday. I’ve reflected on a full rundown of the week here on The Green Hub, and summarised the highlights on Eco Warrior Princess. But now it’s time to chat about New Zealand Fashion WEEKEND… when sustainable fashion really hit hard. 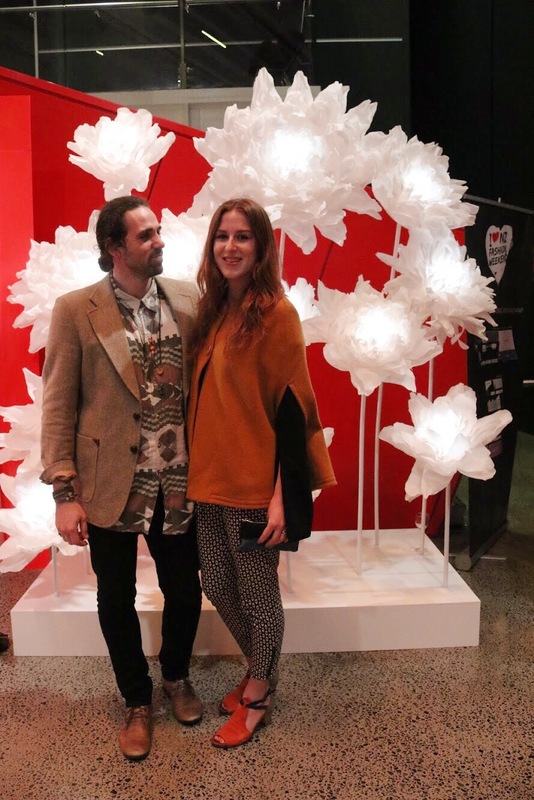 On Saturday night, I linked arms with my husband, Tim, and attended a show I’d been looking forward to all week: a group of designers from one of my favourite places: Ponsonby. For those unfamiliar, Ponsonby is a beautiful part of Auckland, known as the ‘hip’ area of town. It’s full of glorious fashion, gourmet restaurants, and thriving bars and nightlife. Ponsonby showcased four of their incredible designers, several of them making their garments in Ponsonby, in studios just above their stores. Designers: Yvonne Bennetti, Storm, Carlson, and Knuefermann. My personal favourite, though I may be biased as I own one of her beautiful ponchos (worn in the photo above! ), was Tanya Carlson’s collection. Every single garment was classic, timeless, and took me back in time to old school styles that I adore. Her collection was refreshing and classy; a breath of fresh air after the outrageous runway attire I’d seen during the week, that I could never imagine on an everyday person. Ponsonby is one of my favourite parts of Auckland, and the superb fashion in Ponsonby, is one of the reasons why. I could sit at a cafe in Ponsonby people watching for hours. I look my mum and mother-in-law shopping for mother’s day in Ponsonby this year, and always end up there rather than the hustle and bustle of the city centre. If you’re popping to Auckland for a holiday, Ponsonby is your go-to for shopping. It’s all there in one street. OR if you live in Auckland and haven’t ventured to Ponsonby yet… why the heck not?! Say hi to the Carlson store for me! For the first time EVER, NZ Fashion Weekend opened their doors to a Sustainable Style Show, run by the amazing Good Magazine. Watching some of my favourite ethical fashion brands hit the runway for the first time, was what I can only describe as ‘a proud mum moment’. Designers: Aurai Swimwear, ReCreate, Grumpy Suns, Mane Project, Tonic and Cloth, We-Ar, Outliv, Ovna Ovich, and Papinelle. Aurai Swimwear wowed me for the second time that week with their new swimwear range, made from recycled fishing nets. ReCreate hit the runway with women’s street wear made ethically in Cambodia, and Outliv had me drooling over their new bags made with the skin from old teddy bears! Ethical fashion brands walking the exact same runway as mainstream fashion, was a huge step for the future of fashion. Although it angers me to think ethical fashion has to be a term, when ALL fashion should be ethical, it as a MASSIVE step in the right direction… and it’s only uphill from here on. The afterparty with team ReCreate and Outliv.